First Alert Forecast: Lingering showers, then another nice work week! A cold front is pushing SE through the state today! 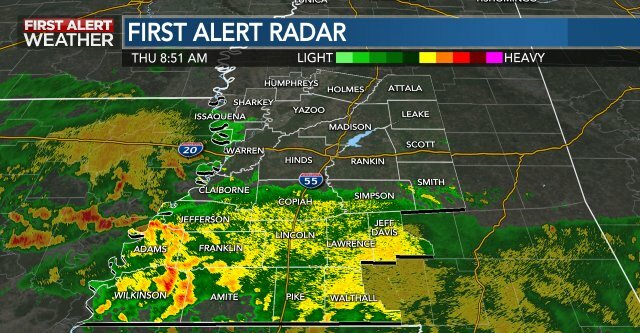 This system is what brought us that line of showers and storms that many woke up to earlier this morning... fortunately, our rain chances will continue to diminish as the front moves out of the area. Outside of a lingering shower or two this afternoon, we'll notice clearing into the evening hours as winds shift out of the north and drier air works in. Although mostly sunny, Tuesday will be cooler than average with highs only lifting into the low-mid 60s. A ridge of high pressure builds in quickly, however, rebounding our temperatures by Wednesday and Thursday! Expect dry and mostly clear conditions through the rest of the work week, before our next system brings scattered showers and storms back to the forecast by this upcoming weekend!